There certainly seems to be a lot of encouraging activity taking place in the world of early childhood these days – from campaigns such as Let’s Move to efforts dedicated to identifying high quality child care and insuring that it is both accessible and affordable for all. As a pediatrician trained in the so-called “hard” sciences, one of the most intriguing aspects of this activity, in my opinion, is the movement to effectively and impactfully take early brain science to the streets. Before jumping ahead to some of the exciting and innovative work that’s now being done, it’s worth reviewing (in admittedly oversimplified terms) how we got here. The 1990’s were characterized by a “concerted effort to enhance public awareness of the benefits to be derived from brain research,” earning it its recognition as the “decade of the brain.” In 2000, the IOM released a galvanizing consensus report on the science of early childhood development – representing both a rallying cry and a very big next step in the brain-building movement. Aptly titled From Neurons to Neighborhoods, it served as a broad and firm, evidence-informed foundation for what we are increasingly seeing: direct connections being forged between the burgeoning brain science and what’s being done to directly promote healthy experiences and environments for all young children…on our “streets” and in our neighborhoods, our communities and across the country. I have found that on the brain science side of the equation, nowhere is the large and growing body of early brain-based research more accessible, compelling and clearly articulated than Harvard University’s Center on the Developing Child, under the leadership of Neurons to Neighborhoods editor, Dr. Jack Shonkoff. 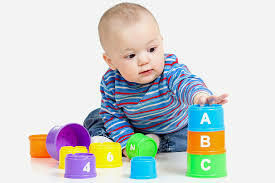 Based on a firm believe that the science of early childhood – right down to the developing brain architecture – can be used to develop more effective policies and services focused on building resilience, developing executive function and self regulation skills, and ultimately preventing the potentially neurotoxic effects of poverty, adversity and toxic stress for those most at risk. Adding to our increasingly deep and detailed understanding of the baby brain is interdisciplinary research being done at places like the University of Washington’s Institute for Learning & Brain Sciences (I-LABS). Headed up by renowned baby brain researchers Patricia Kuhl and Andy Meltzoff, I-LABS is using intriguing modes of dynamic neuro-imaging such as MEG (magnetoencephalography) to not only provide compelling new insights, data and images about the connecting of neurons and the mechanisms for early learning, but also collaborating with people and organizations who can quickly translate this work into real-world applications. With respect to these “real-world” applications, The First 1000 Days author Roger Thurow captures the importance of translating this science when he states, “If we want to shape the future…we have 1000 days to do it, mother by mother, child by child.” For anyone dedicated to doing just that, it’s heartening to see just how wide a range of brain-building efforts there are now in place across the country – all dedicated to helping all children reach their full potential by directly offering parents and caregivers evidence-based brain-building information, activities and support. Whether bringing the message to families where they live – on their phones, in their inboxes, on their screens or on their doorsteps – the following are a sampling of these brain-building efforts. Vroom. Vroom’s brain-building message is clear: Shared everyday moments, from mealtime to bathtime, can easily be turned into brain building moments, and that parents have what it takes to become master brain builders. Suggestions for fun, everyday age-specific activities meant to “spark connections” are made easily available via the free Vroom app, along with practical tips, videos and even badges of encouragement. As for future efforts, watch for everyday brain-building messages to make their way on to the packaging of trusted brands. Supported by the Bezos Family Foundation, one look at the Brain Trust behind Vroom and it leaves no doubt that the best in early brain science is at its core. Thirty Million Words Initiative. With a name based on the 1995 landmark findings of Hart & Risley, who found that preschoolers from families on welfare were exposed to a full 30 million fewer words than their high-income counterparts, Thirty Million Words Initiative is a Chicago-based, parent-directed program that employs the power of home visitation, one-on-one and group interactions, social media, and the use of the LENA word pedometer to study, build relationships, educate and support powerful parent-child interactions and children’s early language development. Too Small To Fail. Given the foundational importance of early language development and exposure to words, Too Small’s to Fail’s parent-directed Talking is Teaching efforts include direct-to-parent tips and resources focused on talking, reading and singing with young children that are delivered via email and also available on Twitter (@TooSmallToFail). This is a partnership between the Clinton Foundation and The Opportunity Institute meant to improve the health & well-being of America’s children ages 0 to 5 years. Text4Baby. Text4baby is a free mobile messaging service provided by Zero to Three – an organization dedicated to advancing the proven power of early connections – in partnership with Voxiva. Text4baby provides personalized, evidence-based health information in the form of text messages for moms and babies throughout the critical period of pregnancy and the first year. Sesame Street. That’s right…when it comes to taking early brain science – complete with its implications for both cognitive and social emotional development – “to the street,” one needs look no further than the beloved Sesame Street. Founded on helping reach all children with life-changing opportunities to learn, a Sesame Workshop – RWJF collaboration is allowing the Sesame Workshop team to study how best to create and directly deliver the brain-building resources we now know are so fundamentally important for young children’s healthy cognitive and social-emotional development. If you aren’t familiar with past contributions of Sesame to this realm, just take a look at what they can endearingly do with key concepts such as self-control (a core component of executive functions skill development) and empathy.